Actually I thought France were very French insofar as they lived up to the old cliche that you never know which France might turn up. I think it is harsh to call England patchy. The blew Italy away in the first half and naturally eased off the gas a little in the second half. Of course there is always room for improvement but I thought it was a very accomplished performanace for Johnson's men against a potentially frustrating Italian defence. 18 penalties conceded by England is my reason for calling their performance patchy...they'll know they can't afford to be so sloppy in a fortnight. Fully agree Flanker. Keep giving penalties away like that and our Gallic cousins will punish us, and we will deserve it. 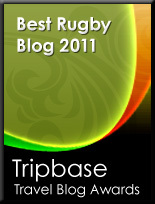 Whilst it was great to see the tries going in a sense of proportion needs to be retained. This was only Italy after all.